Hyundai has come a long way in 10 years, but the manufacturer still has grand plans. It's moving away from its 'value' image and wants to be appeal to a younger audience who value style as much as anything else. 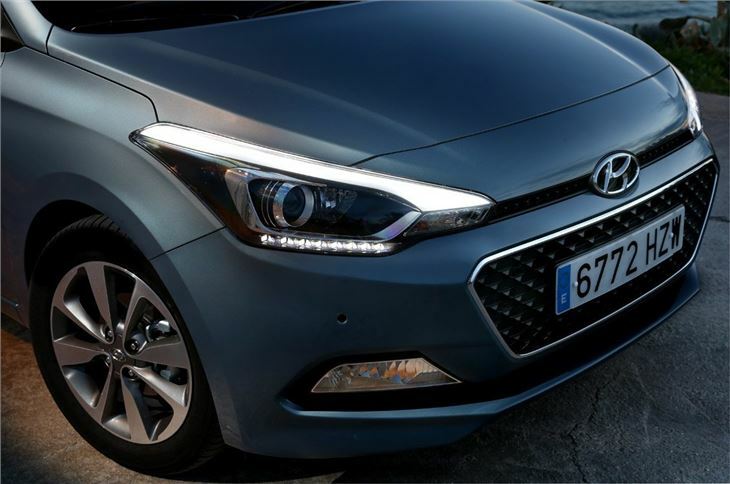 The Hyundai range is certainly youthful - every model has been replaced or renewed in the last five years - and we can expect more with 22 new models by 2017. 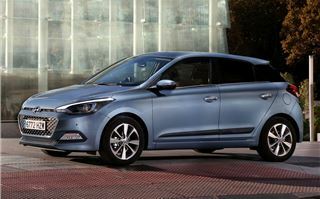 We've already seen evidence of Hyundai's progress in the impressive i10 and now it's the turn of the all-new i20. 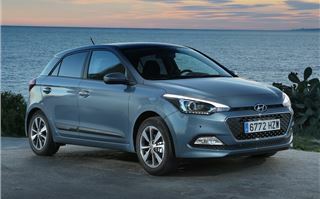 Hyundai describes it as its 'most European car ever' and like the i10 it's designed and built in Europe. It's a handsome car too, with a hint of Volkswagen Golf in the headlights and a neat rear end. It's not the most exciting of designs but has a strong and solid look. If Hyundai wants to appeal to the style conscious buyer it's these areas it needs to get right. 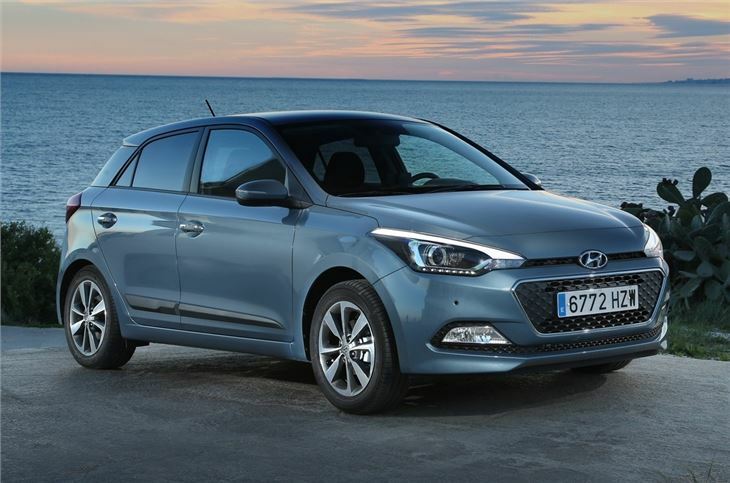 In fact with the old i20, eight out of every 10 buyers were coming to Hyundai from another brand. So this move to a more upmarket appearance is key to keeping them and getting them into a new i20. This simple design sits on an all-new platform which will also form the base for the next generation Kia Rio. 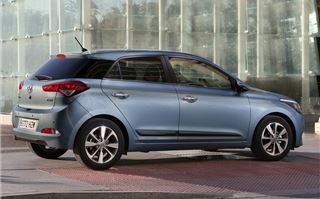 The new i20 is slightly longer and wider than before, but thanks to high-strength steel in the bodyshell is actually lighter and - crucially - stiffer than before. 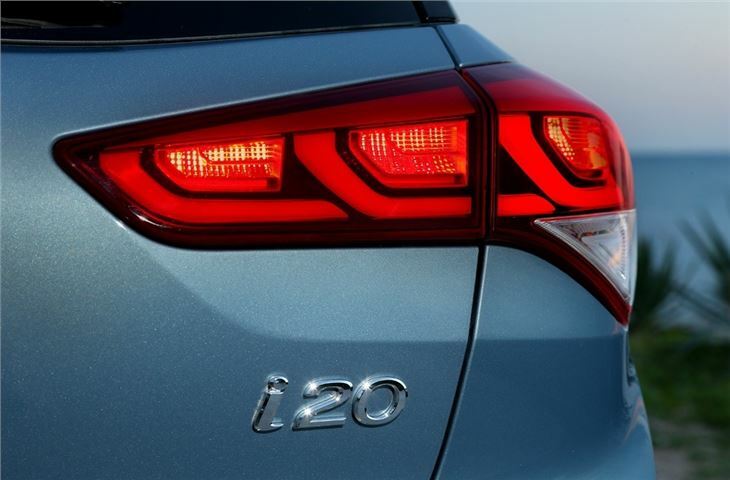 You really notice this when it comes to refinement - the i20 is incredibly quiet and relaxed on the move, so even at 70mph there's minimal road or engine noise. Even on poor quality roads the i20 is very smooth and copes well over potholes, much better than many other cars of this size. There's good sound proofing from the engine, so even the diesels aren't intrusive and it's a relaxing drive. Comfort is helped by the fact that Hyundai hasn't fitted big wheels - a 16-inch alloy is the largest available while the standard 15-inch is even better. Despite the forgiving suspension set-up, the i20 is still handy in corners with plenty of front end grip and reassuring stability. 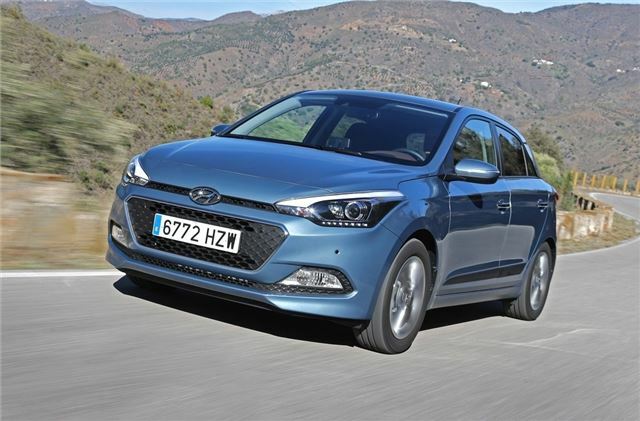 The steering is a little light but the i20 still handles well and is easy to navigate through a series of bends, plus those in the back won't feel sick. 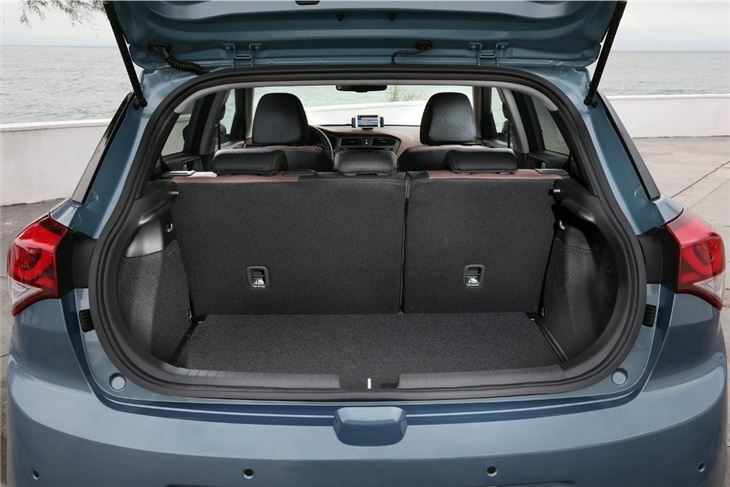 And those in the back also get plenty of room with generous headroom and far more legroom than you'd expect. Again, it's more than the competition offers. 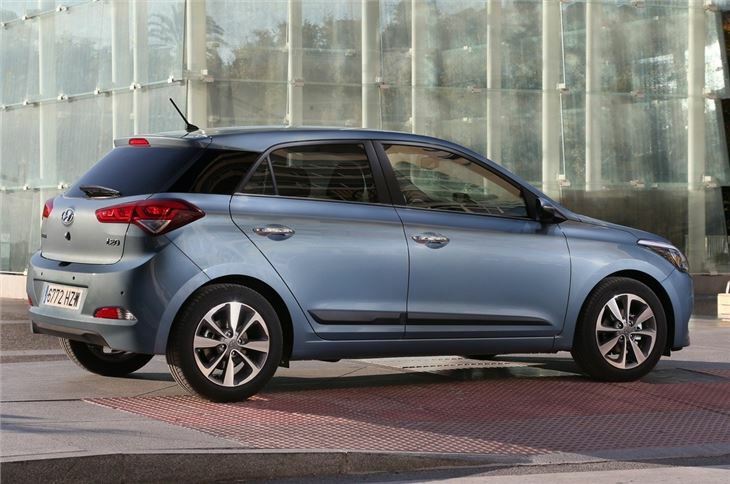 Where the i20 comes into its own is around town. There's good visibility and plenty of adjustment in the driver's seat so it's easy to get a good driving position. Judging the extremities of the car is easy, although we'd suggest getting rear parking sensors (standard on the SE) to be on the safe side if you're regularly parking in tight spots as rear visibility isn't great. If you choose the optional integrated navigation it also includes a rear parking camera that's cleverly displayed in the rearview mirror, a really neat touch. The most popular engine is likely to be the 1.2-litre petrol with 84PS. There is a 75PS version of the same engine that's available in entry-level trim S trim levels, but the 84PS will be a bigger seller. It's a decent little four-cylinder that's smooth and quiet. It’s also useful around town, but can feel a little slow on the motorway, with a lack of pulling power. However, on the upside, the economy is a claimed 55.4mpg and for everyday driving it's more than adequate. Alongside this is a nippy 1.4-litre petrol with 100PS. This is the only model available with an automatic, although it's a rather old fashioned four-speed auto that sees economy drop and emissions rocket. What's of real interest is a new 1.0-litre three-cylinder turbocharged petrol that will arrive in mid 2015. Badged T-GDI it will have 120PS and should give the i20 some real pep, plus it will feature in the forthcoming i20 Coupe. There are diesels available including a 1.4 CRDi with 90PS at the top of the range; however, in top Premium SE trim, this will set you back more than £16,500 which is very pricey. The 1.1 CRDi is a better bet. The three-cylinder engine still gets a six-speed manual (the 1.2 petrol only gets a five-speed gearbox) and has enough get up and go thanks to 180Nm of torque. But the best part is a claimed economy of 88.3mpg if you go for the BlueDrive model plus no annual VED. Whether you go for a petrol or diesel, you get a positive shifting gearbox and little noise in the cabin. The interior of the i20 sticks to the same theme as the outside with a simple yet quality feel. There are plenty of soft touch materials and even the harder plastics on the door tops feel solid rather than cheap and scratchy. The dials are nice and easy to read, all the buttons are intuitive and it's a very well laid out design. 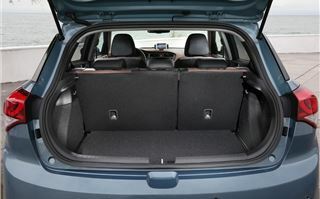 There's also plenty of storage with big bottle holders in the door pockets. Going for a Premium model gets the Smartphone Docking Station (as shown above) which means you can use a navigation app through your phone rather than having to buy a separate unit. The Premium SE gets some high end extras such as heated front seats and even a heated steering wheel, something you'd usually associate with cars like the Range Rover. 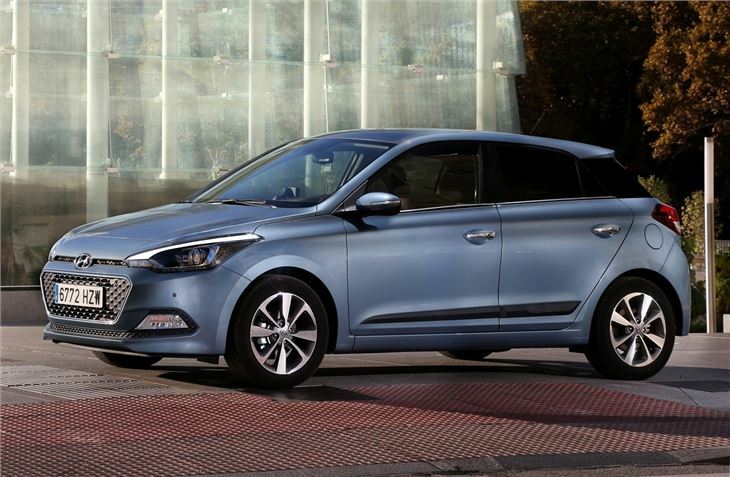 Add in a five-year warranty and it's easy to see why the sensible money in this market goes in the i20.